The MyBB development team released a new version of MyBB 1.8. MyBB 1.8.7 is a maintenance and security update. It does fix 13 security vulnerabilities and 83 reported issues of MyBB 1.8.6. Beside a lot of low-risk XSS injections, a possible SQL Injection in the moderation tool has been fixed which is declared as medium risk. You should update your MyBB forum as soon as possible to include these security fixes. If you are upgrading from MyBB 1.8.6 you can use the changed file package for the upgrade to 1.8.7. Do not forget to make backups first and run the update script after you replaced your old files with the new ones! You can find the update descriptions on the official MyBB blog. You should always keep your MyBB at the newest version to prevent hackers from getting access to your forums files and data. If there are security updates you should always update your forum as soon as possible. This has been the first update that was not released for MyBB 1.6 too, because the support period for MyBB 1.6 has ended. I do expect that MyBB 1.6 does still carry the same security issues as 1.8.6 does. If you are still using MyBB 1.6 it’s the final call to update to 1.8 now. If you have great topics in your forum, you should get visitors from many countries, even if they do not speak the main forum language. I’ll talk about a proper multilanguage setup of your forum in this blog post. If you do run MyBB on a Windows Server with the built-in IIS webserver you might notice that MyBB is slower on IIS installations than on Apache. The reason is in the database connection of the default installation of MyBB. The default value for the database server is localhost which is correct for most installations. On IIS, setting localhost as database server will cause a DNS lookup in the system. This DNS lookup takes some time and slows down your MyBB on every single database connection start. The lookup can be prevented which saves you up to two seconds on each pageload if you do not set localhost as database server but use the IP of the database server. In most cases, you’ll have the database on the same – local – server and the IP will be 127.0.0.1. The MyBB development team released new version of MyBB 1.8 and MyBB 1.6. MyBB 1.8.6 is a maintenance and security update, MyBB 1.6.18 is a pure security update. You should update your MyBB forum to include security fixes for low and medium security issues. If you are using MyBB 1.8.5 you can use the changed file package to update to MyBB 1.8.6. Do not forget to run the update script! Check the update descriptions on the MyBB blog. Keeping your MyBB at the newest version is important to prevent hackers from getting access to your forums data. If there are security updates you should always do these updates as soon as possible. 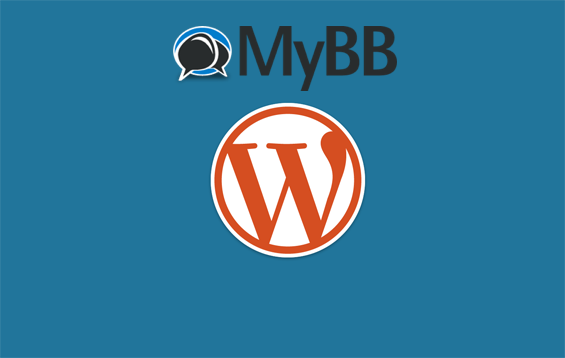 In this post, I’ll tell you how to integrate your MyBB forum with a WordPress blog. Wordpress is probably the most successful blogging software in the world. And beside blogs you can also use it as a small CMS for websites. If you’re running MyBB for Business, you might want to get a blog or a website too. It’s a great opportunity to earn some extra cash. But if you are running two different systems, you’ll have two different user bases. Your users, having registered in MyBB already, have to type their email adress over and over again if they want to comment on wordpress. They’ll need to register a second time in WordPress for subscriptions. We can achieve this effect for each usergroup. Moderators for example could have a light blue background for their author information, VIPs could have a light yellow background and so on. You can also use background images. We will use simple template edits for this modification instead of a plugin. If you want to host MyBB on a Windows Server with IIS instead of a Linux server with Apache, you’ll need a web.config file instead of a .htaccess file for seo-friendly URLs. Windows Servers are often used in intranet solutions and MyBB can extend intranets very well. If you are pruning members or manually deleting MyBB database entries, you might end up with wrong MyBB statistics on your index page. Plugins can also cause these issues.